Now that Labor Day is over, it’s time to start thinking about Fall soups and stews. Yup, the cooler days are coming here in the Northeast. When I make fish (and I make it a lot), I always cut the thinner tail end off the filet, and freeze. When I decide to make a chowder I just throw all the ends in the chowder. 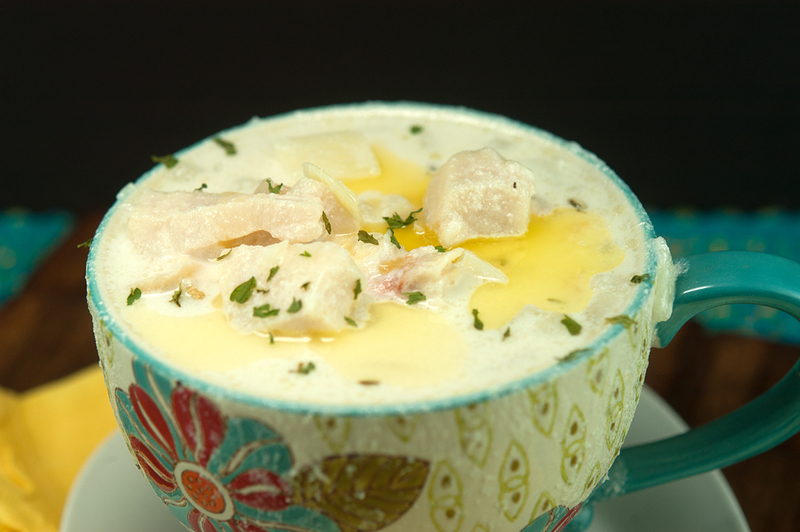 This clam, haddock and scallop chowder makes good use of those leftovers. I went to David’s Fish Market & Lobster in Salisbury MA the other day! I purchased a pound container of fresh chopped clams. I just can’t go to David’s with getting some. They keep in the freezer, and are always handy when you want to make a chowder. There is no worries of getting fresh fish when shopping here…everything’s fresh, and there is loads of selection. This chowder can be made with all of the different fish, or any of them. The clam juice is better when made fresh, but I don’t always plan ahead. So I use Bar Harbor Clam Juice. It’s a good substitute for fresh when your in a pinch. If you like a thicker chowder, make a roux by adding 2 Tbsp flour to the onion/fat mixture and cooking down a bit. Then add the liquids. The flour will help thicken the mixture. However, I much prefer a thin fish chowder. Also, remember when adding the cold milk or cream to the hot mixture, temper the cold cream with a little of the hot liquid so the milk/cream doesn’t curdle when added. You want to add “warm” cream to the hot mixture. 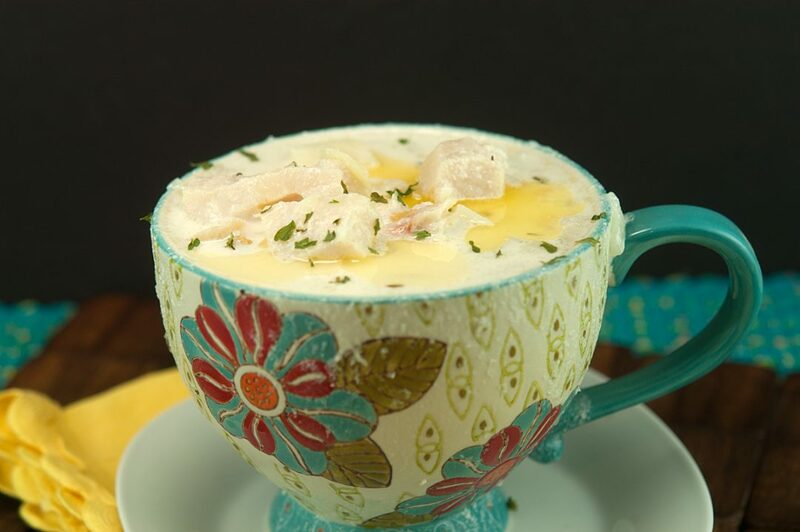 Curdled milk/cream doesn’t ruin the chowder, but it sure does make it look horrible! 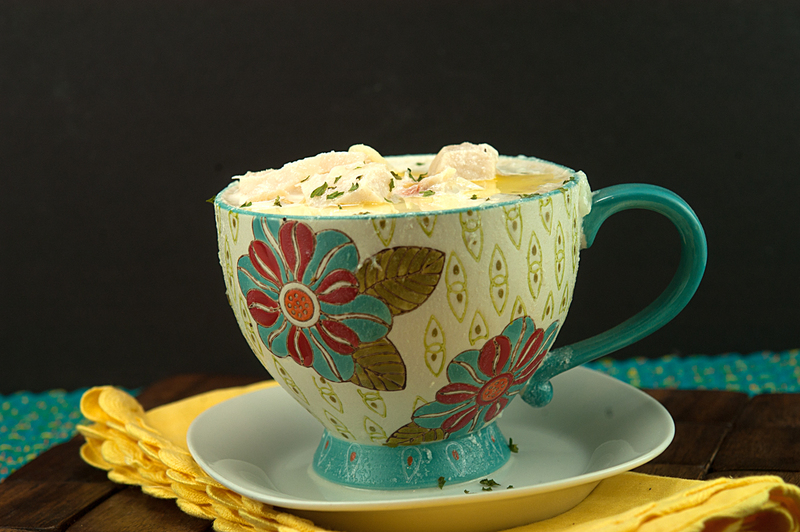 This chowder is hearty, full of seafood flavor, and perfect for any Summer or Winter meal. You can replace or add any type of seafood, such as lobster, or any other white fish to this recipe. 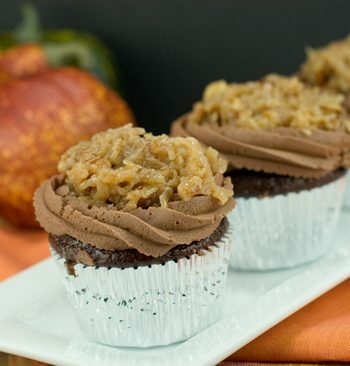 You can even add in a can of creamed corn! That’s what’s great about chowders. You use the same principal to make and add your own touch for ingredients. Fully cook the bacon to render the fat. Remove the bacon pieces and reserve the piece for garnish. Add one minced onion to the bacon fat, and saute until translucent , but not browned. If you want a thicker chowder, add 2 Tbsp flour to this mixture, stir in, and cook for about a minute or so. Add clam juice, and diced potatoes. Cook for approx. 5 minutes. Temper (warm) the milk and cream with some of the hot liquid mixture. Then add the milk and cream to the chowder. Cook on low another 5 minutes or cook until the potatoes are tender. Add clams, haddock, and scallops. Add thyme, salt and pepper and bay leaf. Cook on low for 10 minutes or so, until fish is cooked.